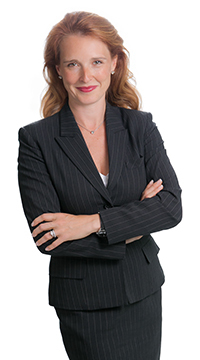 Christine provides legal consulting services to the Firm.Raised in Regina, Saskatchewan, Christine earned a Bachelor of Commerce (with Distinction) from the University of Saskatchewan in 1994 and later returned to the U of S to obtain her Bachelor of Laws (with Distinction) in 2001. Christine articled with a large national law firm in Calgary and was called to the bar in Alberta in 2002. After relocating to Toronto, she was called to the bar in Ontario in 2003 and worked for a downtown Toronto law firm before moving to Barrie in 2004.Christine is a member of the Law Society of Upper Canada, the Law Society of Alberta, the Canadian Bar Association and the Simcoe County Law Association. Christine is a member of the Board of Directors of Kempenfelt Bay School in Barrie and in her spare time enjoys cooking, Pilates and traveling with her husband and three children.